Mountains and water. Two environments that appear to have a special place in our hearts and souls. A distinctive pull that travel statistics continue to confirm (based upon the popularity of outdoor destinations). Each opens the door to dozens of activities, any of which require distinctive knowledge and gear. Water is the focus here, where the merging of humans (averaging 60% water) with still and moving water seems to create its own energy. Harnessing that energy to float, skim, surf, propel and fish, apart from swimming and bodysurfing, puts flotation into the picture. While inspired human invention has moved well beyond clinging to driftwood or inflated cow bladders, similar principles still apply. Enter the world of inflatables, watercraft that leave inner tubes and repurposed camping pads high and dry. With the inherent challenges of storage, transportation and on-water deployment of rigid paddlecraft, Active Junky testers have been huffing and puffing their way to wisdom the past nine months (with some help from barrel inflation pumps, truth be told). From Colorado lakes to the Pacific Ocean off of Chile to Patagonia Lakes and the Atlantic Ocean, paddlers took a selection of brands into calm and moving water. Let’s not forget the Sea of Cortes either, another location where currents and tides add both challenge and exhilaration to every stroke. 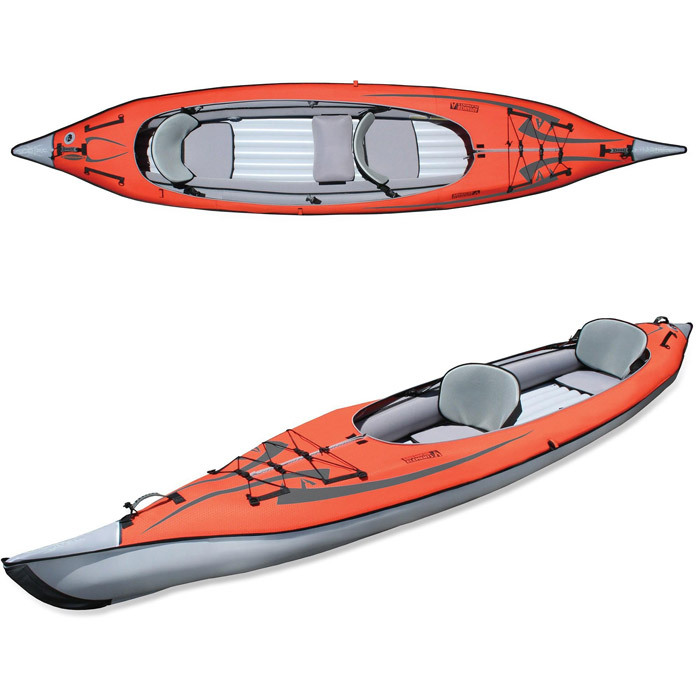 A variety of models – including a folding ORU kayak – were selected as viable candidates for purchasing consideration. 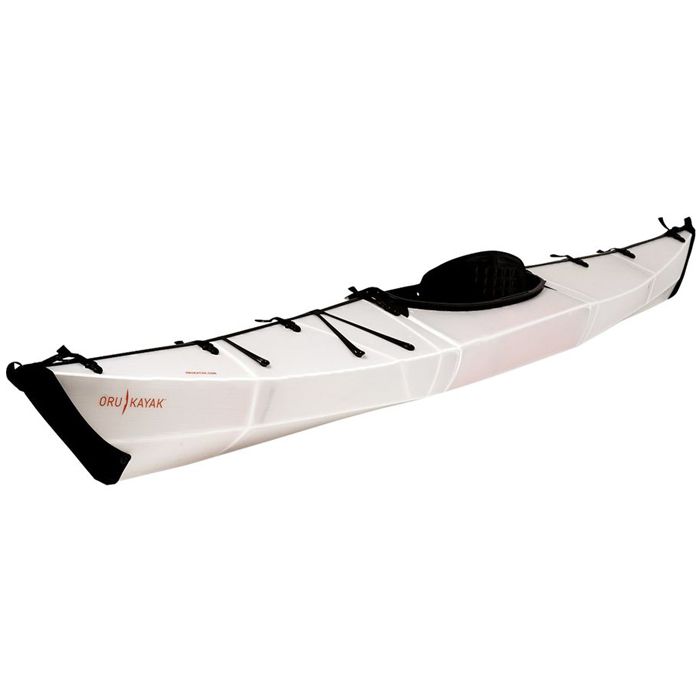 Storage of 10’-12’6” inflatable SUPs and one- or two-person kayaks require a large duffel (rolling or with handles) that runs between 90L without and 120L with breakdown travel paddles and pump included. Weighing between 35lbs and 55lbs, many are compact enough to check as normal luggage. In transit, paddle blades are susceptible to cracking from impact or stacked luggage, while exterior abrasions don’t commonly cause punctures. Folding kayaks conform to the same size and weight parameters, with needed flotation bladders (optional but AJ-recommended) adding little extra volume or weight. Inflation requires dedicated hose couplers designed for the craft, many of which are common among manufacturers: Find out what’s needed for any model before assuming a friend or hostel has a compatible pump. Pumps come both in single- and double-stroke models, with the latter providing inflation output both on up and down strokes. As getting to 12lbs+ pressure ends up being an athletic endeavor, pumps are equipped with foot braces. Paddles normally fit the requirements of travel, though some “starter” crafts include products that are heavier and less capable of being disassembled. With the challenges of protecting them during transport and storage (see above), dynamic strength, flexibility and in-water rigidity come into play. Upgrading paddles is a step to consider after as few as six outings, where efficiency and suitability for travel come into play. Maintenance is primarily about pre- and post-session vigilance. Active Junky’s been caught with sand-infused inflation valves, sharp-edged objects pushing against kayak inflation chambers while underway and launching points where old fence posts (wood and metal) lay hidden immediately below the surface. 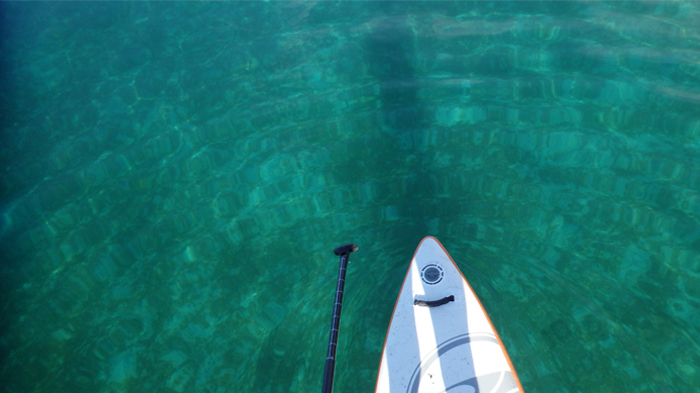 Manmade hazards are everywhere, where natural sources of abrasion and puncture vary based upon paddling conditions. 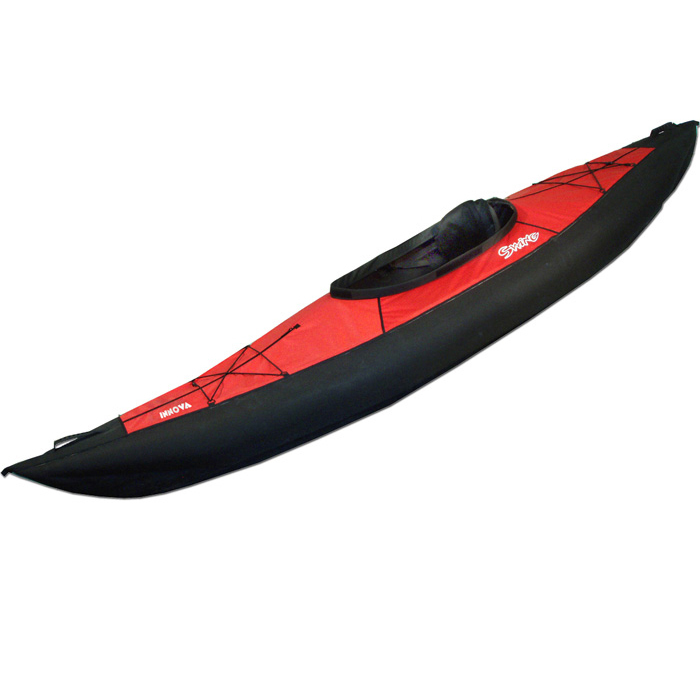 Protection from harmful natural and human elements, even apart from those encountered in-transit, is a fifth factor with inflatable kayaks and SUPs. As they are easy to carry in a packed state, they can likewise sprout legs when left unattended in a backpack or duffel. 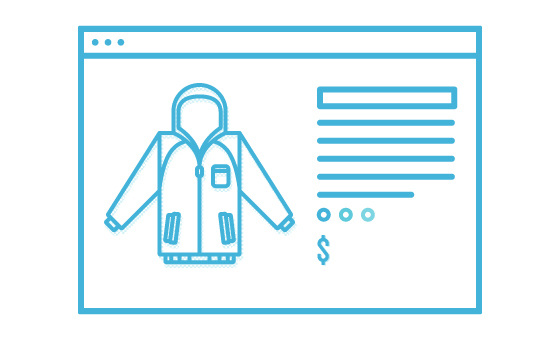 While many craft are available with a logo-identified carrying case, Active Junky recommends covering the graphics or sheathing it in a beat-up travel duffel. Once at a location and inflated, standard bicycle locks will stop casual theft but most attachment points are easily slashed such that vigilance and locked storage is essential. In the same way, avoiding extended UV exposure (beyond paddling sessions) helps the craft, including the longevity of any nylon straps. 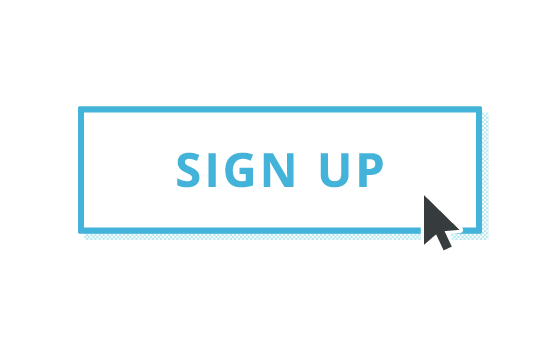 The WHAT factor focuses on the paddler’s goals. Exercise? Adrenaline-provoking personal challenges? Technical skill development? Extended touring? These four send the prospective owner in different directions, with challenges and skill development perhaps the most aligned. The WHO factor centers on the paddler or paddlers. Weight, athletic ability and on-water experience factor in the equation. 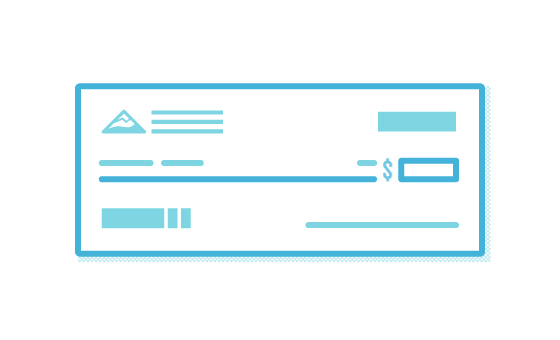 For those purchasing craft with an expectation for continued and increasing use, accepting less stability up front (in favor of greater agility and efficiency later) is a worthwhile – and short-term – trade-off. 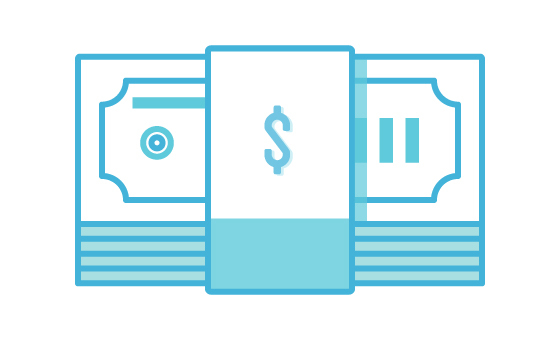 If future resale is anticipated, a more professional-duty craft may be easier to sell or trade if it’s been well-maintained. 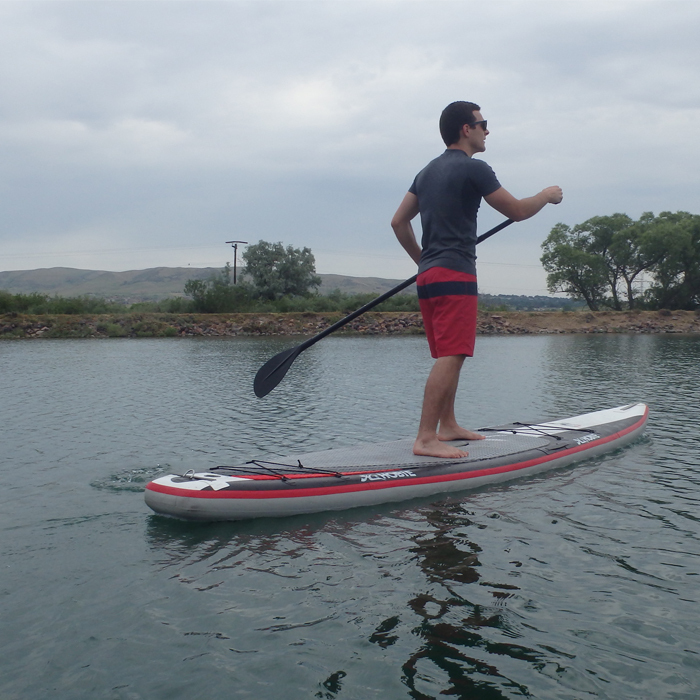 Otherwise, a more recreational inflatable can be a way to save $300-$500 or more on either a SUP or kayak. 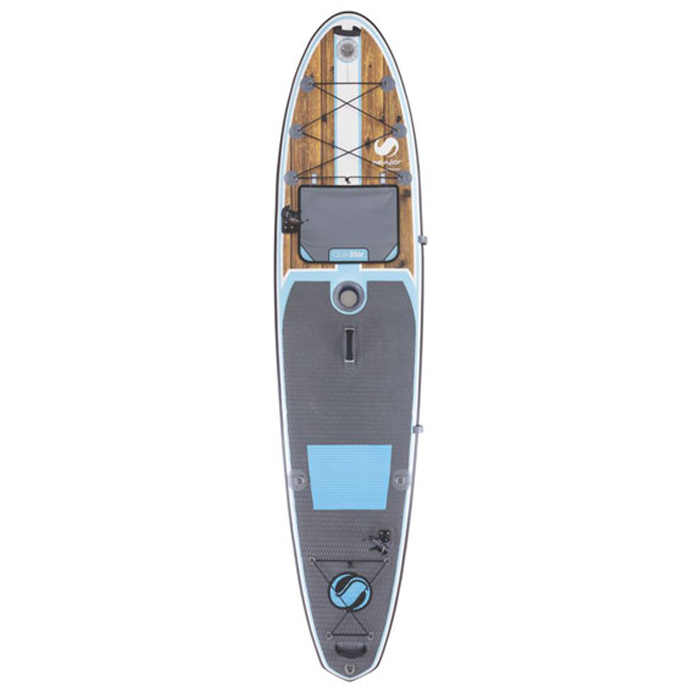 Active Junky recommends consideration of a smaller-sized two-person boat, even as a starting point, to permit both tandem paddling as well as solo touring use. The WHERE factor combines the first two along with the expected or desired water conditions. After taking a recreational fishing kayak into the open Pacific Ocean, the (anticipated) lesson around mismatching craft to conditions became obvious as the shore break swamped the boat with cold salt water when returning to the beach. Recreational craft often only handle rapids up to Class II, and normally aren’t built for big-wave paddling. 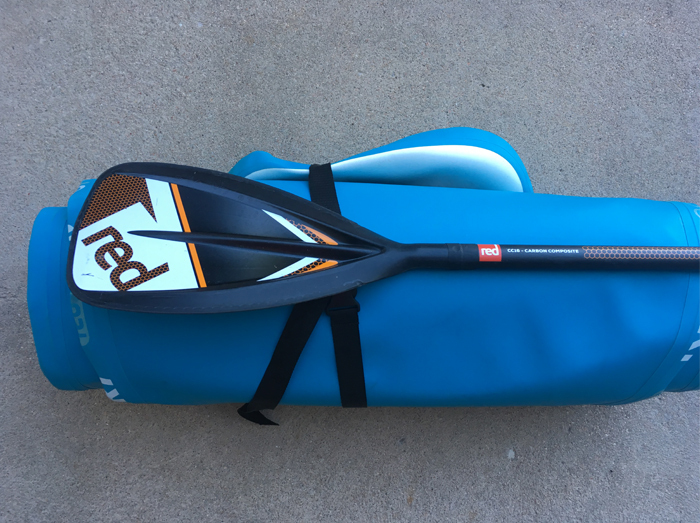 Bearing in mind these three factors, the price for a paddle-ready combination (craft, pump, paddles) ranges from $1,000 to $2,500. Life vests or waistbelt flotation systems and supplemental floatation bladders (for folding craft) add between $100 and $200 to the cost, with carrying packs or duffels ranging from $100-$150: All in for new equipment is $1,200 to nearly $3,000 for an expedition-worthy inflatable kayak or competition SUP with custom carbon paddle. While all five of these were used to select the craft to be tested, each model emerged with one core strength noted as its “Key Attribute.” Based upon the WHAT, WHO, and WHERE, the relative importance of the five attributes varied. 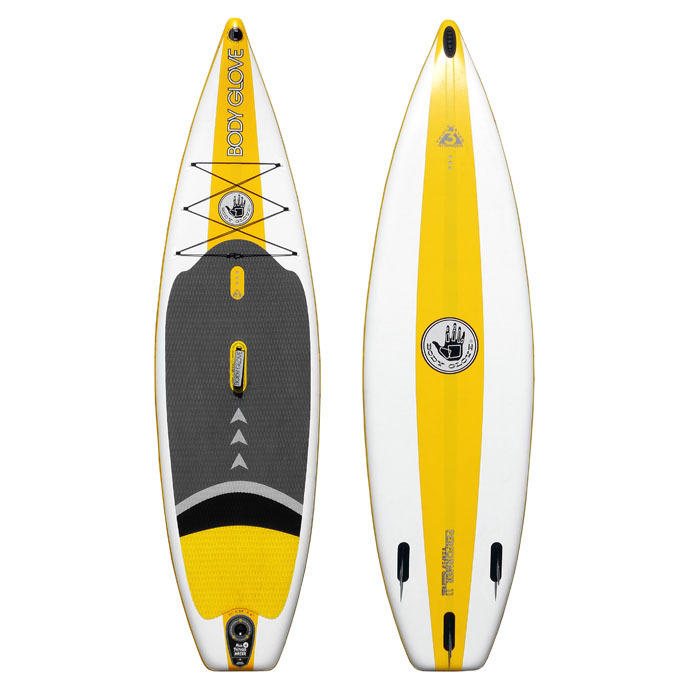 For example, a purely recreational SUP doesn’t need to accept larger payloads, while a touring-capable models must carry more weight. Red means ready for action with a paddleboard Active Junky found refreshing to inflate, easy to paddle and nearly impossible to stop from flying across inland waters. If going overnight, traveling internationally or simply investing in a board for even larger paddlers is the goal, “show up and blow up” for maximum adrenaline. 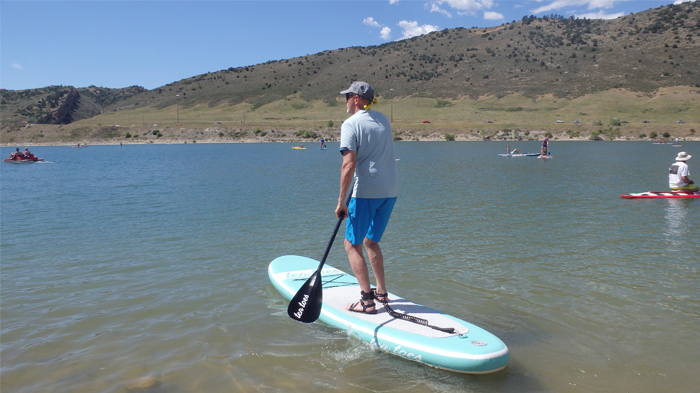 Turns a 15’ length and 550lb capacity into total freedom during longer paddles, keeping safety and long-lasting durability in mind with every paddle stroke. 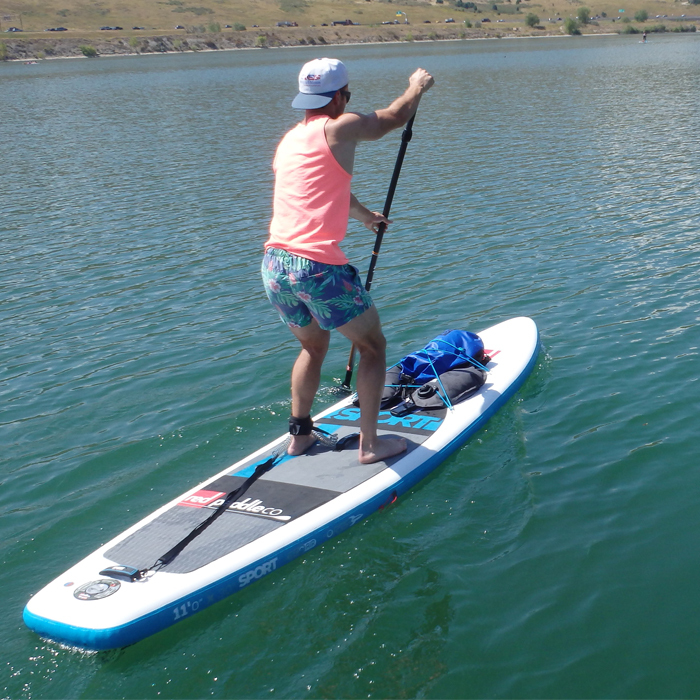 While you may have sailed or pedaled on one of their kayaks, Hobie’s got more in store with a stabile, sensible board with plenty of room for improving your skills and endurance. 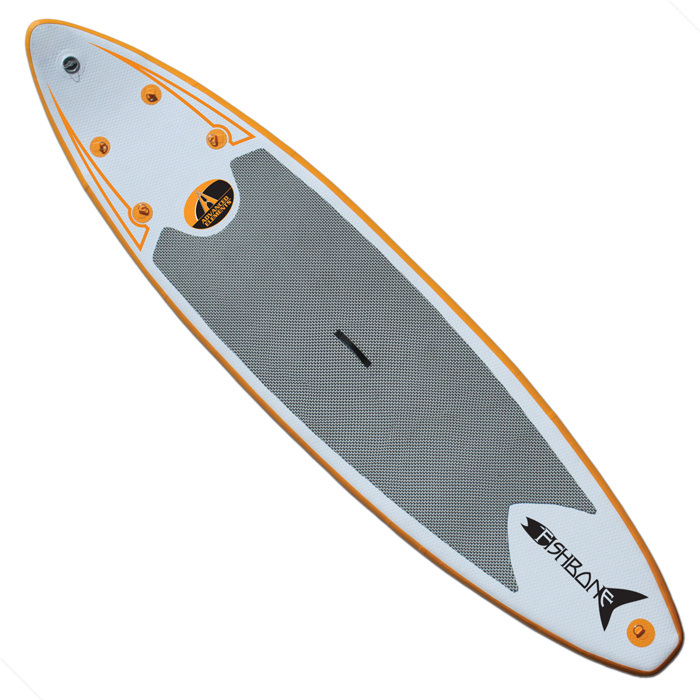 This 6”-thick board rides higher, truer and with greater wind- and wave-fighting capability than nearly any other model tested by Active Junky. 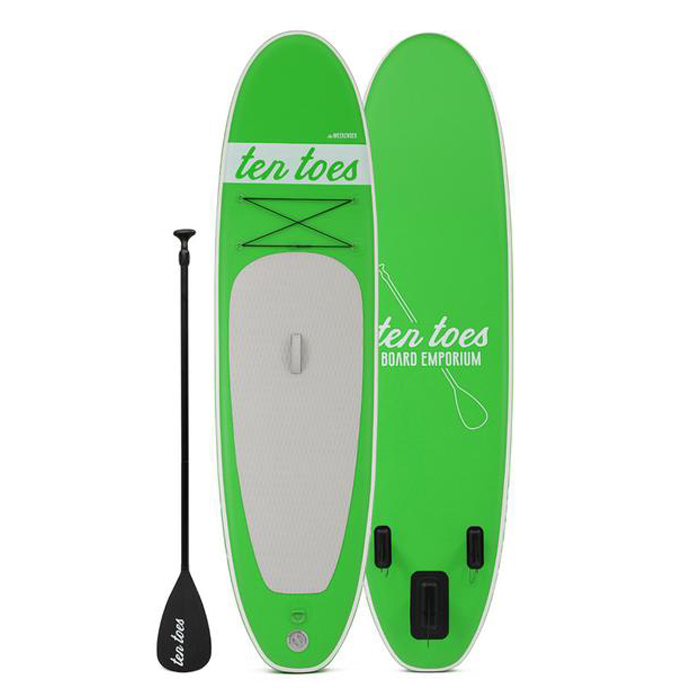 Take to the water with a brand known for hard-wearing, easy-paddling products trusted by professionals and competitive athletes around the world. This is where chilling and thrilling converge in a value-minded package that needs to be part of even the occasional paddler’s kit – or ready to go at the family’s lakefront cabin. 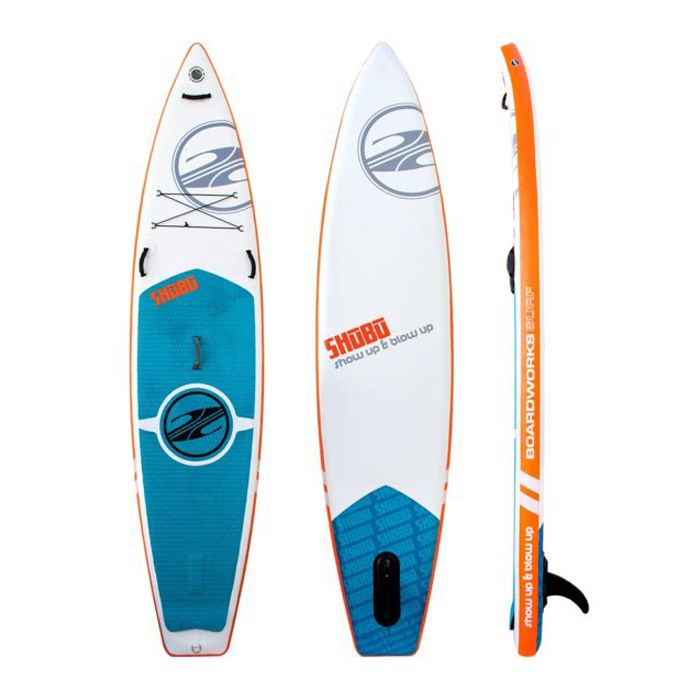 Fresh and sheltered saltwater fishing waters come into range with a Sevylor model that makes for passable recreational paddling as well. Ten minutes and counting (at most) for even beginning boaters to experience double-bladed excitement from the whitewater-credentialed brand behind the fun. Getting funded by ABC’s Shark Tank is evidence that this line is charting its own course in watercraft, with the Bay 12’ model as part of a broadening line-up of foldables.